"A program by which a company buys back its own shares from the marketplace, reducing the number of outstanding shares. Share repurchase is usually an indication that the company's management thinks the shares are undervalued. The company can buy shares directly from the market or offer its shareholder the option to tender their shares directly to the company at a fixed price." The quick and easy summary goes like this: Companies (hopefully) have profits at the end of every month and quarter they must decide what to do with. Repurchasing stock reduces the total "float" or shares available for trading in the market. With a reduction in the available supply of shares it boosts the share price. The why is a bit more complicated. Boosting share prices in the short term has an obvious benefit to the people who decide when and how many shares to repurchase; a large part of their compensation is determined by how the company's stock price performs. Another reason may be that the company believes share prices are undervalued (this should quickly be dismissed because companies always invest heavily at market tops and invest little or nothing at market bottoms). A third reason; companies cannot find a way to put the money to productive use. If the economy is only purchasing X amount of the products made at your factory, why would you build another factory that is just going to warehouse unsold product? A few quotes and charts will be coming from StreetTalkLive as we continue on. “Companies are buying their own shares at the briskest clip since the financial crisis, helping fuel a stock rally amid a broad trading slowdown. Corporations bought back $338.3 billion of stock in the first half of the year, the most for any six-month period since 2007, according to research firm Birinyi Associates. 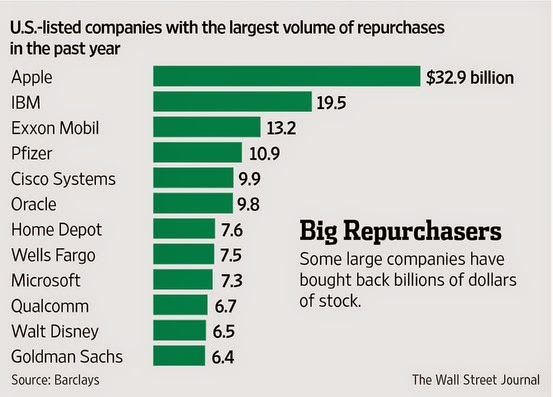 Through August, 740 firms have authorized repurchase programs, the most since 2008." "The growth in buybacks comes as overall stock-market volume has slumped, helping magnify the impact of repurchases. In mid-August, about 25% of non-electronic trades executed at Goldman Sachs Group Inc., excluding the small, automated, rapid-fire trades that have come to dominate the market, involved companies buying back shares. That is more than twice the long-run trend, according to a person familiar with the matter. If a company decides not to invest profits in future business growth or use it for share repurchases, it can give the money back to share holders through dividend payments. This is another simple way to boost share prices because it provides an attractive income stream to investors interested in purchasing the stock. "Companies are not just borrowing to complete share buybacks but also to issue out dividends. According to the most recent S&P 500 company filings, the level of cash dividends per share has now reached $9.76 which is the highest level on record. It is also the greatest deviation from the long-term trend of dividends per share since the financial crisis." Is it a long term problem that companies are spending all their profits (and in some cases going further into debt) to repurchase shares and issue dividends instead of using the capital to invest in future business growth? As a quick side note, Berkshire Hathaway, the company managed by Warren Buffett, has never issued a dividend and never will. For a detailed understanding why, I would highly recommend reading this piece from one of his annual letters posted by Business Insider: Warren Buffett On Dividends. This discussion explains part of the reason why the S&P 500 is sitting at all time record highs while the real economy has not recovered. When profits come in they are not being used to grow the company (which would lead to jobs and income growth), the funds are circulated within the organization to artificially turbocharge share prices. The following chart illustrates this divergence. 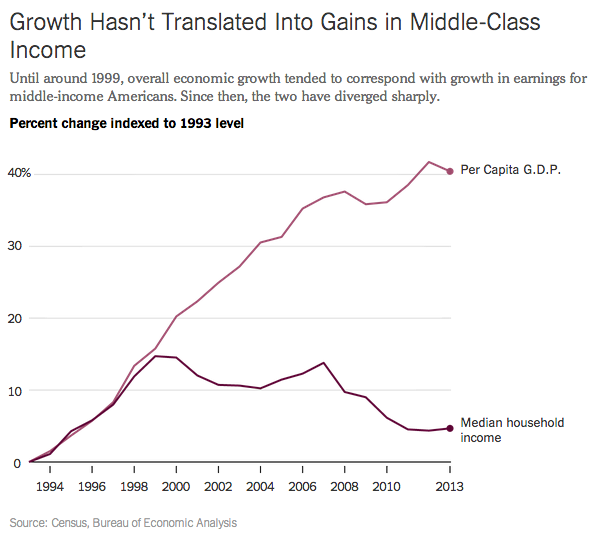 The middle class no longer experiences the benefits of corporate growth and profitability. 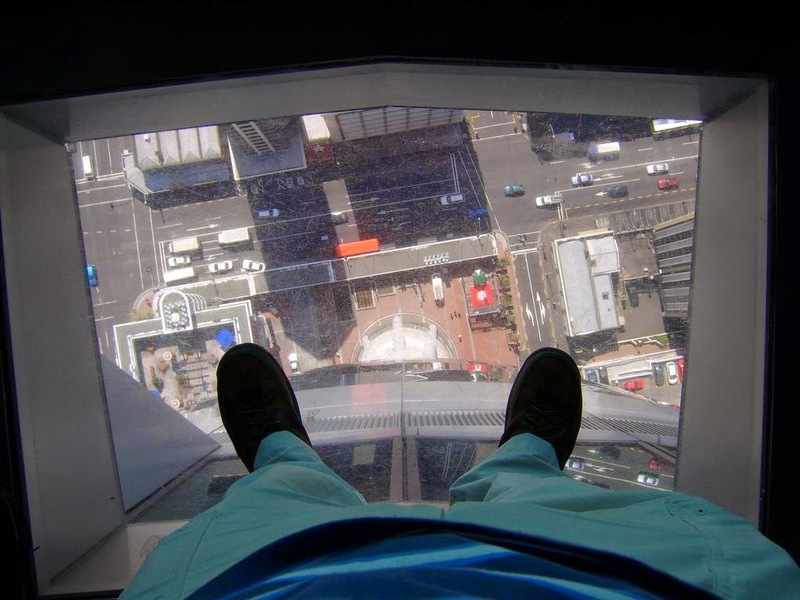 Corporations will not have the ability to artificially levitate their stocks higher forever. Either the real global economy must catch up to what share prices have priced in, or share prices must return to levels the real economy can support. We will be discussing the slow down in the global economy both outside and within the U.S. economy in depth over the coming weeks. Which Is The Better Buy Today; Corn or Gold?